Stay 7 nights in a Frangipani Bure surrounded by carefully manicured tropical gardens. Enjoy being just steps away from the beach! Enjoy a delicious buffet breakfast every morning of your stay at the resort’s own Chief’s Restaurant. Children 4 -12 years inclusive Play FREE at Hermit Crab Kids Club daily. Children 4 – 12 years inclusive Eat FREE Breakfast in Chief’s Restaurant 7am – 10am (conditions apply, see Fine Print). Be met at Nadi International Airport with a shell necklace & refreshing drink courtesy of our My Fiji VIP Concierge Services! 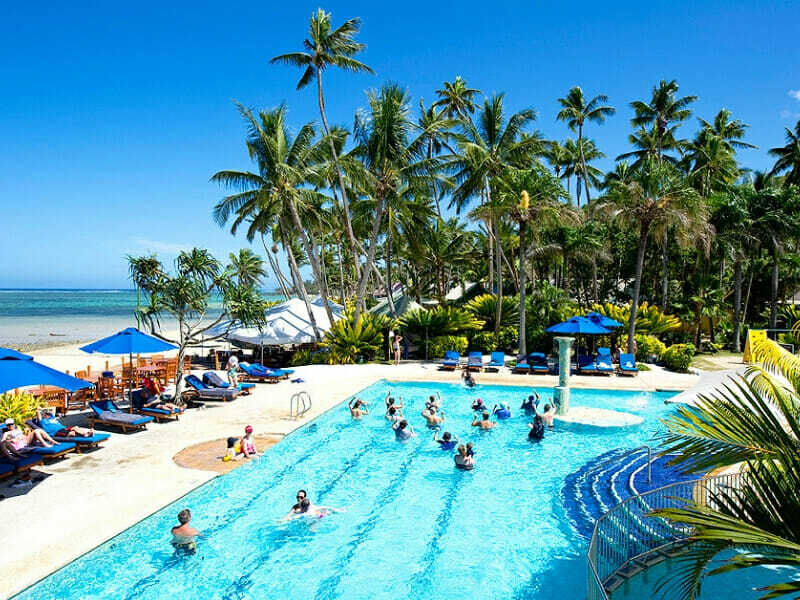 The service includes a My Fiji Gift Bag containing a Pure Fiji pack, beach ball & cap (1 per room, per booking), a Tour Vouchers Pack with vouchers for tours & activities, plus special assistance if required. My Fiji Island Experience*: Set sail with My Fiji for an exclusive day of sun, fun and private-island paradise! Nestled into the stunning Mamanuca Islands, My Fiji Island (Tivua Island) is a sun-seeker’s dream and water-lover’s delight! 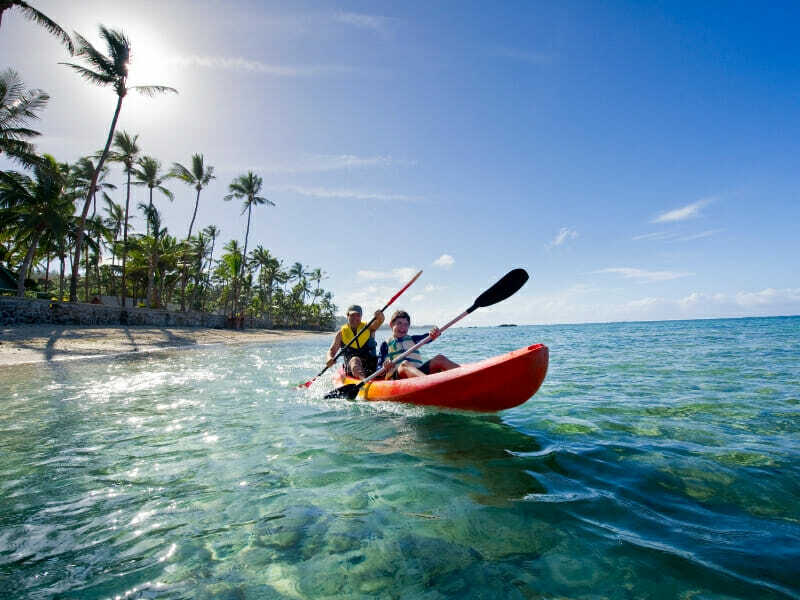 It is the best way to see Fiji’s most popular group of islands, plus you can do it all without the crowds! This experience is available to My Fiji guests only! All meals, beer, wine, soft drinks, cultural activities, entertainment and transfers are included. 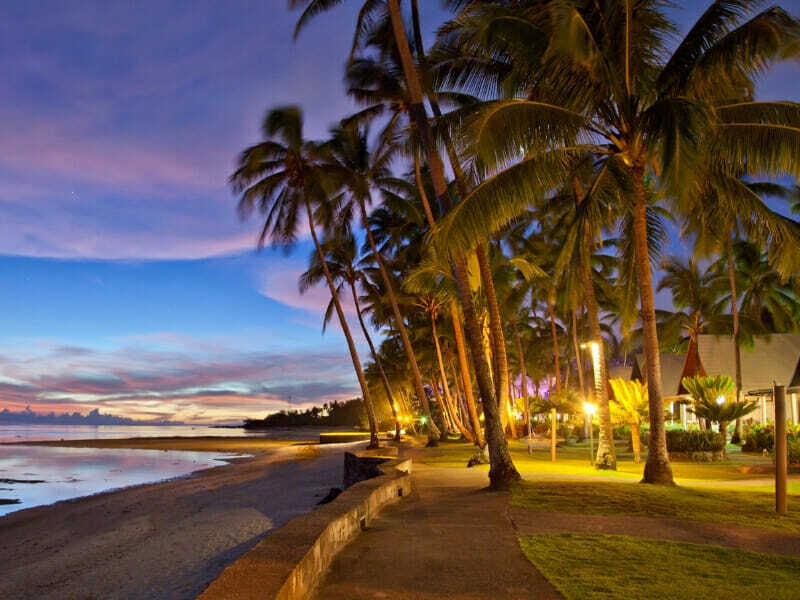 Malamala Beach Club**: Discover the world’s first island beach club with this exclusive My Fiji experience. The Malamala Beach Club is the best and most luxurious way to experience Fiji’s stunning natural wonders. Cruise 25-minutes from Denarau to spend the day in a My Fiji-only section of paradise. 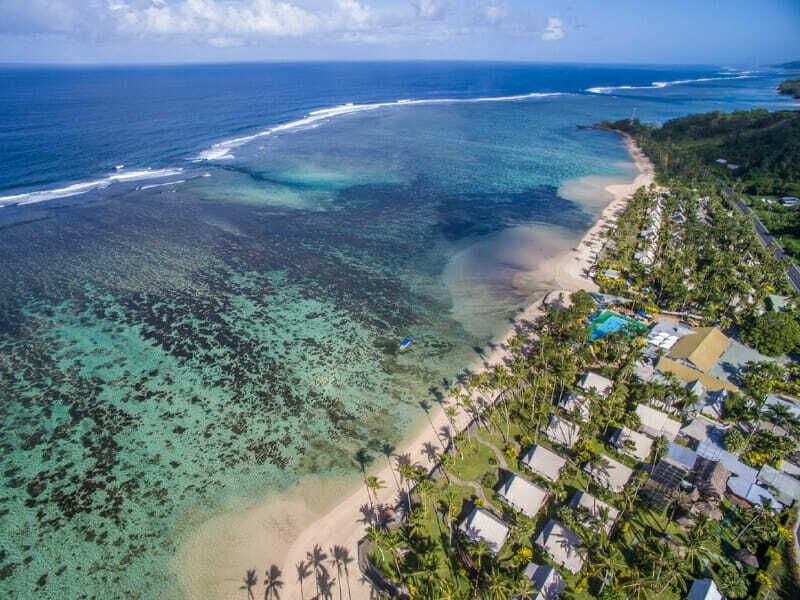 Complete with pristine white beaches, vibrant coral reefs, private cabanas, curated cocktails and tantalising Pacific-inspired meals, this unique experience oozes luxury. Soak up the sun, swim in the resort-style infinity pool and indulge in exclusive My Fiji treatment, with dedicated staff on-hand to take care of your every need! Sigatoka River Safari***: Explore Viti Levu’s longest river and discover the luscious region known as Fiji’s Salad Bowl! Jump aboard a jet boat, venture into a local village, meet the chief and enjoy a tantalising traditional Fijian lunch. Transfers, ceremonies and sarongs included! This package also includes a welcome drink at the resort, an invitation to the Manager’s Cocktail Function, complimentary nightly entertainment and complimentary WiFi for one device per room! Make a splash during your time at the Fiji Hideaway Resort & Spa with one complimentary introduction scuba dive in the resort pool. This is available to those 11yrs and above. Conditions apply—contact our Fiji Holiday Experts to find out more! 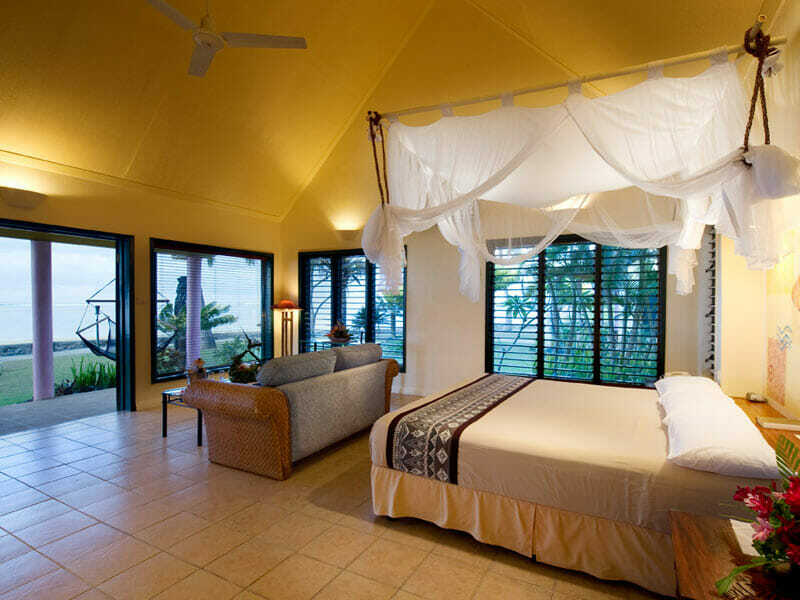 Ocean View Bure – UPGRADE from only $100 per person! Relax, surrounded by swaying palm trees, on the furnished deck of the Ocean View Bure and take in the stunning views of the ocean. 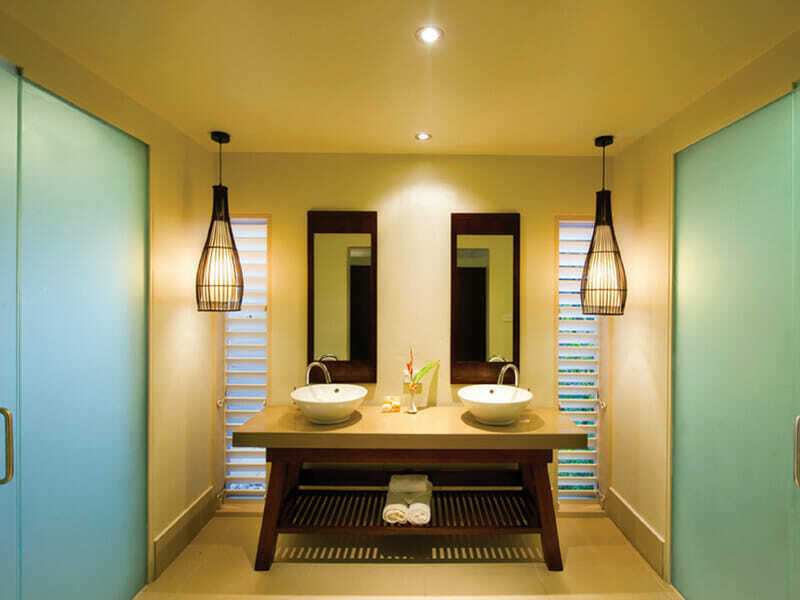 The interior of the traditional Fijian accommodation is complete with a queen and a single bed, indoor bathroom with hairdryer, a fridge, tea/coffee facilities, air conditioning and complimentary toiletries. Boasting picturesque views of the beachfront, framed by swaying palm trees, the Beachfront Villas are just steps from the white sands of the beach. Even more spacious than the bures, the interior of these villas is complete with a king-sized bed, a large comfortable lounge area, private walk-in dressing alcove, indoor ensuite and an exclusive private outdoor bathroom. 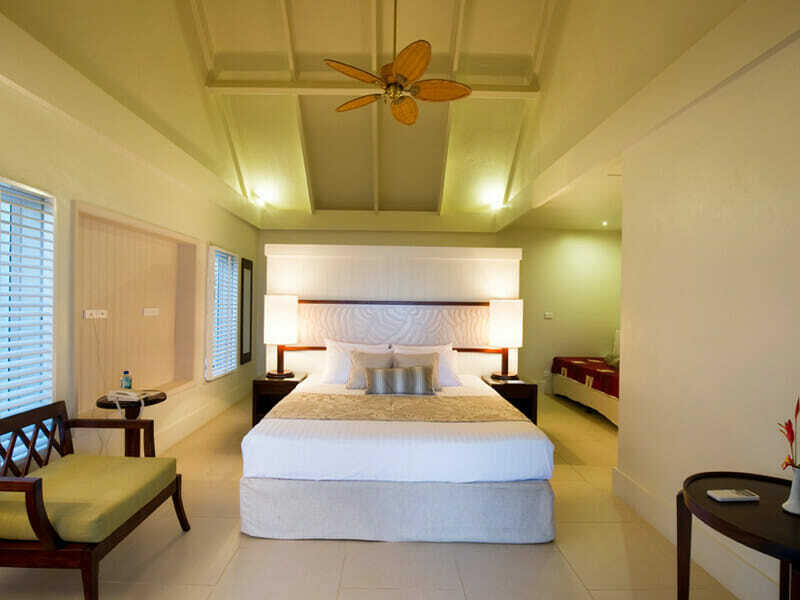 Guests staying the Beachfront Villas can relax in the outdoor hammock and take advantage of modern amenities such as hairdryer, a fridge, tea/coffee facilities, air conditioning and complimentary toiletries. 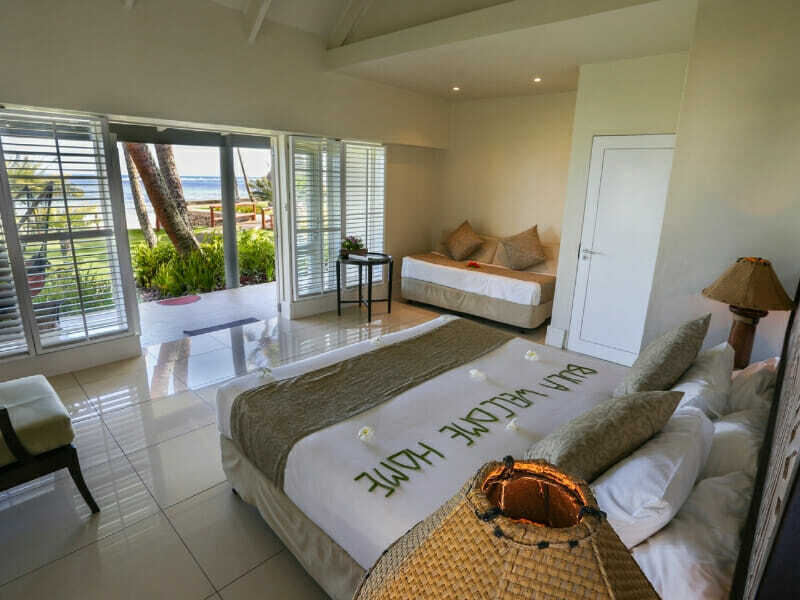 The Deluxe Beachfront Bures are perfect for couples seeking a little more luxury in there stay. The well-appointed bures are exclusively designed for a two person stay with a king size bed and dual vanities in the bathroom. Outside is complete with an exclusive private outdoor shower and a front deck, just steps from the beach, with a hammock where you can relax and enjoy the beachfront views. Inside you’ll find a day bed for relaxing and modern amenities to enhance your experience such as hairdryer, a fridge, tea/coffee facilities, air conditioning and complimentary toiletries. 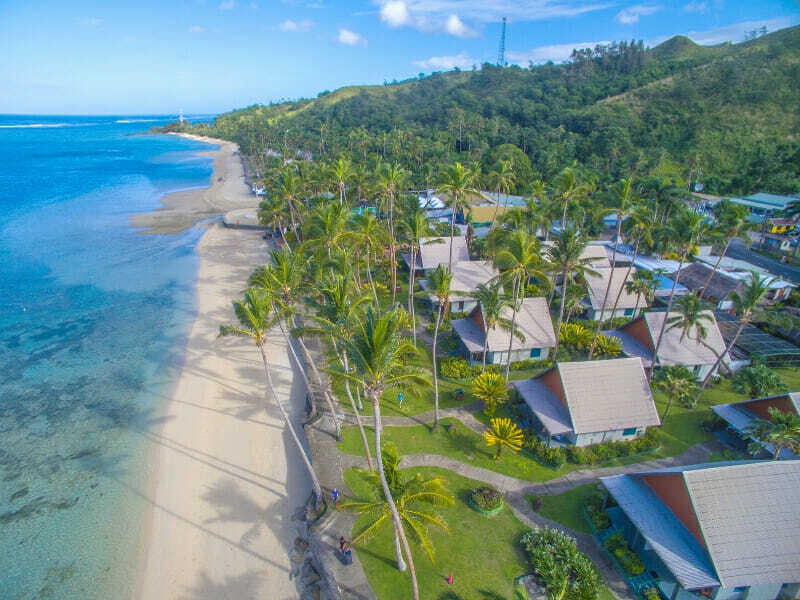 Stay at the boutique beachfront holiday resort, Fiji Hideaway Resort & Spa, for a truly relaxing holiday experience ideal for both couples and families alike. 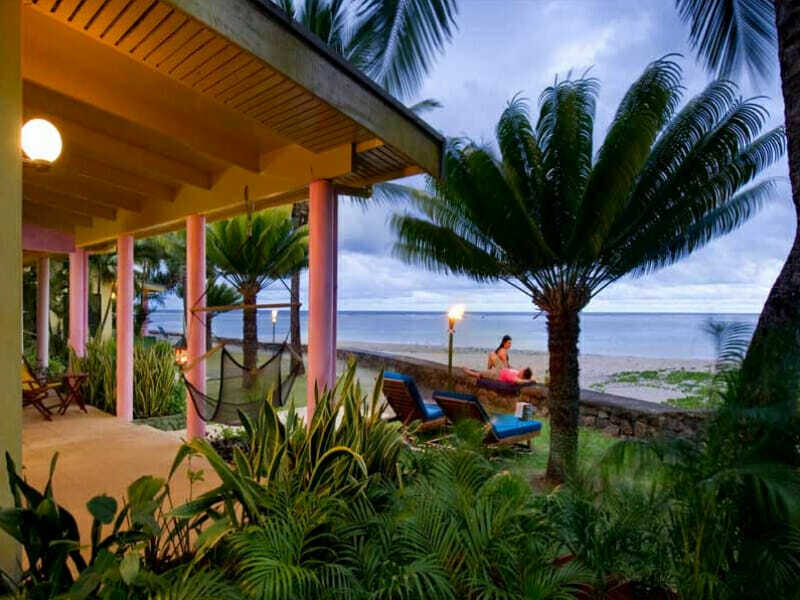 Situated on a prime beachfront location on Fijis Coral Coast, the resort is famous for the friendly and fun Fijian staff that create a memorable guest experience. The abundance of activities available combined with the tranquil waterfront atmosphere, make Fiji Hideaway Resort & Spa an exceptional holiday destination. 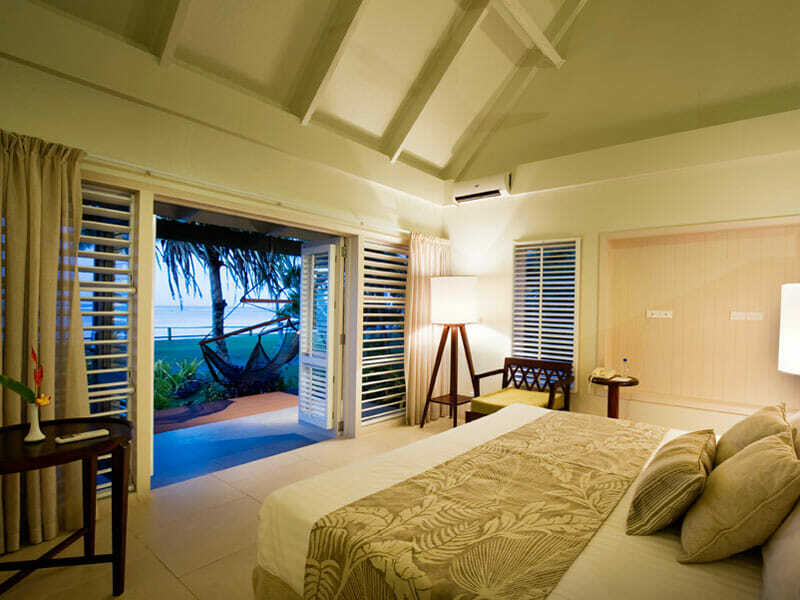 Read more about Fiji Hideaway Resort & Spa here! ^Airfares are based on promotional economy class fares with checked luggage allowance per person. Flights include 23kg of checked luggage per person. Prices are correct at time of publication and are subject to change. Flights may not be direct or operate daily. ^Flights from Adelaide and Perth will be via Sydney, Brisbane or Melbourne. Subject to promotional fare availability. Air surcharges apply during Australian school holidays and peak travel periods. 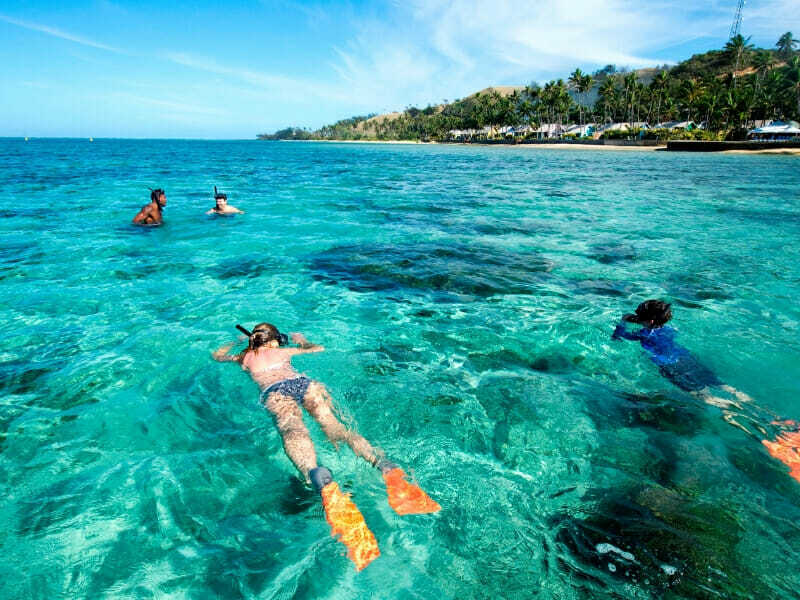 **My Fiji Island Experience: MyFiji Island Experience takes guests on an adventure to the idyllic Tivua Island, a tiny jewel of the Mamanuca Islands, surrounded by white sandy beach and 500 acres of coral gardens pristine reef. Aboard a white-sailed tall ship Ra Marama or Spirit of the Pacific, embark on a 90-minute journey to the picturesque private island, where you will be welcomed by the truly warm Fijian hospitality. There’s nothing quite like the vibrant blue ocean, the majestic white sand beaches and the array of snorkelling sites teeming with coral and diverse marine life. Exclusive MyFiji tour includes Return shared coach transfer to Port Denarau, Afternoon to evening cruise to and around the island, Afternoon tea, kava ceremony and safety briefing enroute, Welcome kit (bottled water and MyFiji Island beach towel for use on the island), Beer, wine and soft drinks whilst on the island, Beach butler service (order taking and drink service at cabanas and the beach), BBQ dinner including fish, chicken, sausages, salads and fruits, Water sports and activities, including guided snorkelling and glass-bottomed boat tours escorted by marine biologist, use of kayaks and SUPs, Guided herbal medicine nature walk, coconut husking and weaving and Lali beating demonstrations, Kids activities in Captain Kid’s Club (90 mins of fun and learning including treasure hunt, sand castle building & sports programme), Music, dancing and cultural presentation and tea/coffee on the return journey, Total of 3 hours on the island. Tours require minimum numbers to operate, whereby tour schedules change, MyFiji reserves the right to offer a similar alternative tour in lieu of original inclusion. Exclusive tour operates on selected days of the week which may change seasonally – enquire for details. ***Sigatoka River Safari: A different type of water adventure! Explore Viti Levu’s longest river on a Sigatoka River Safari! Enjoy the 18-kilometre journey from Sigatoka Town into Sigatoka Valley and discover the luscious green environment known as the ‘salad bowl’. Jump aboard the jet boat and cruise along the freshwater passage, waving to local villagers along the way, before arriving at your host village. Enter the village and be welcomed with open arms and big smiles from the local villagers. Meet the village Chief in his home and partake in a traditional kava ceremony before he guides you through a tour of his village. Tantalise your taste buds with a sumptuous tropical Fijian lunch prepared by the women of the village before jumping aboard for the return journey!